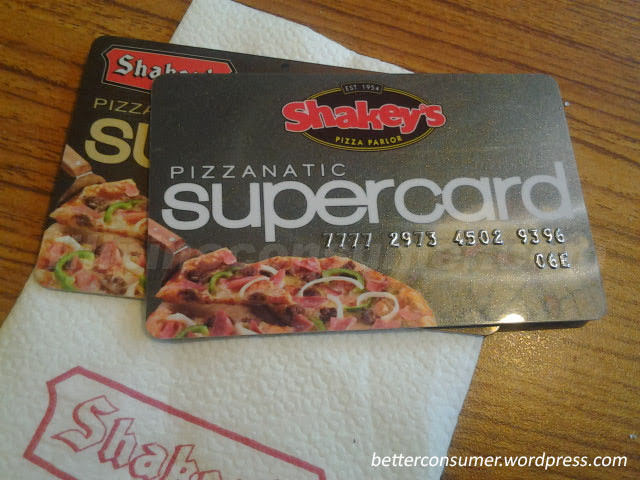 Here’s one treat I think is worth the deal, if you’re a pizza lover or your company loves throwing pizza treats then it might be good to get Shakey’s ‘Pizzanatic Supercard’. Get one regular-flavored pizza when you buy any other Large or Party-size pizza absolutely free. On top of that, cardholders will also get 10% discount for every purchase of regular-priced items in their menu. The card cost only, PhP399.00 and you get redeemable points to, which is converted to cash on every 100-peso purchase you make even on your first use! Just last year my wife and I were able to take advantage of the discounts for at least three times. That means each time we bought Shaley’s pizza we get equal or more value all for using the card. It’s a deal worth considering because having pizza parties at home to create stronger friendships with others is the best treat you can ever get. I know because this is my first renewal and my second time to get the card. Grab your Pizzanatic Supercard today and enjoy the benefits immediately. *Not paid post. Account is all first-hand experience of the author.